It’s been raining cats and dogs around here for three days. Thankfully, Dan and super star CSA member Larry Hughes did some work earlier in the week to extend and rebuild drainlines that kept all the work we’d done establishing our beds from washing away. 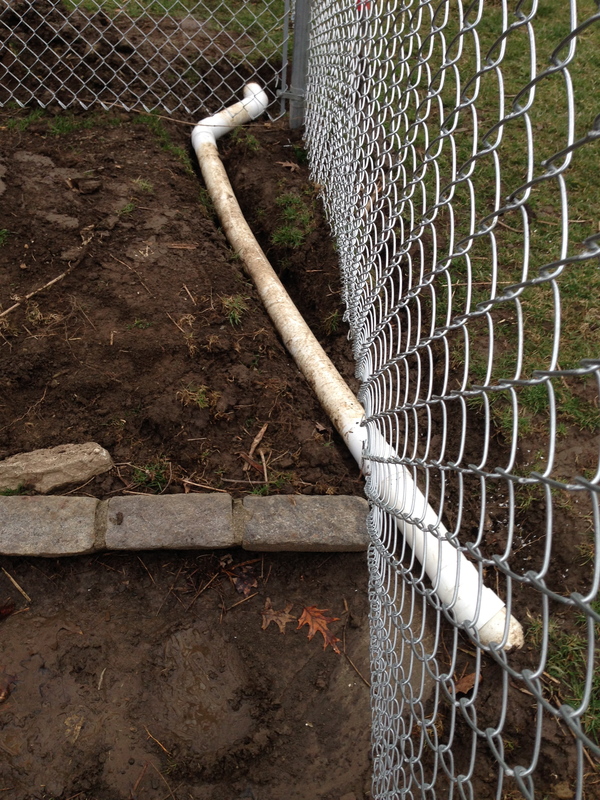 Sump pump drain repaired after being impaled by a fencepost. 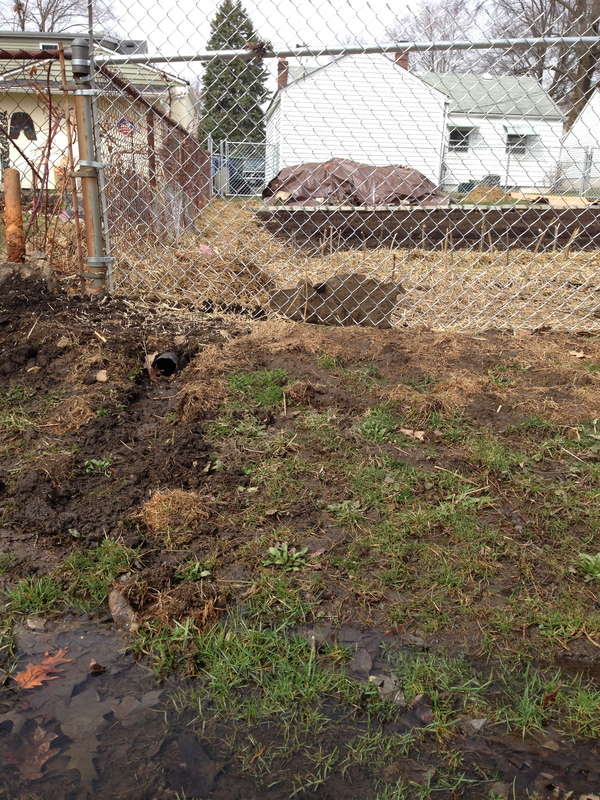 Pipe running from a driveway drain that ended at the top of the farm space now runs to the easement. Categories: Uncategorized | Tags: April Showers, Drainage, Rain | Permalink.